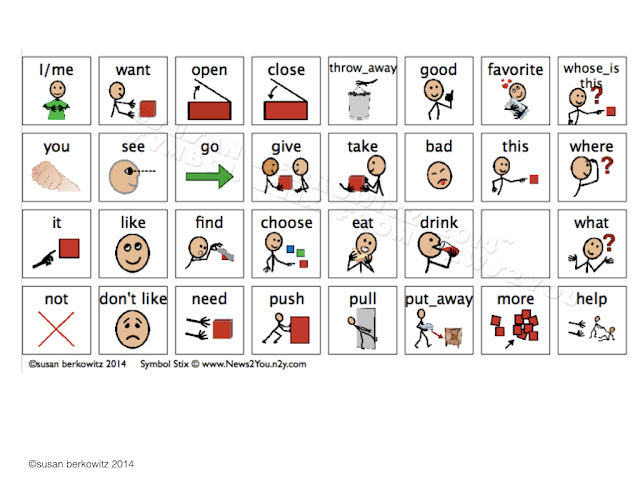 Not every student who uses AAC (augmentative-alternative communication) has a ‘robust’ communication system. A robust system is one with sufficient vocabulary for the user to be able to communicate what he wants, when he wants, to whomever he wants. And even those who do have AAC system sometimes forget to bring them, or have lost or broken them, or they are not charged, or…… You get the idea. Stuff happens. 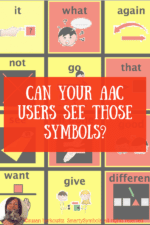 There’s a million reasons why a student might not have his or her AAC system. Many of them not good reasons, but they do happen. So for those times, I always like to keep some core vocabulary based topical boards available in the classroom and around the school. While we want for every nonspeaking or minimally verbal student to have a robust communication system, the reality is that that’s just not happening in many classrooms. 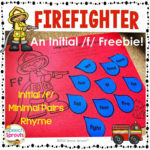 And I would rather have a collection of core-word-based activity boards than nothing at all. One of the easiest of times and places to use AAC is snack time. Kids are often motivated by food – at least snack foods – and classroom staff are often comfortable with the language of requesting and choosing. It’s also easier than an academic or messy activity time when starting to provide Aided Input. Snack time is usually fairly relaxed. Here is a free communication board for use at snack time, that focuses on core vocabulary – the vocabulary kids use the most across contexts – but also provides “fringe” words – the nouns that are specific to that situations and/or student. AAC users CAN talk with their mouths full, so keep on talking!